Join IDEA at the 2016 eBiz Forum in Orlando, May 25-27! What are you doing at the end of May? Come join IDEA in Orlando, FL for the 2016 IDEA eBiz Forum from May 25-27! The eBiz Forum is a three-day conference hosted by IDEA, dedicated to exploring the ins and outs of electronic business in the electrical industry. Whether you’re an industry veteran or just starting out, an executive or an intern, in marketing or data management, or anything in between, the IDEA eBiz Forum has something just for you. Register before March 11th to save $150 with our Early Bird rate! Why Are We Looking Forward to Forum? We’re excited to welcome this year’s keynote speakers – Porter Gale, former Vice President of Marketing at Virgin America, and Gary Schwartz, author and mobile commerce expert – as they share their expertise with us. Plus, we’re gathering industry experts in panels to explore ways to pave the path for eCommerce in the electrical industry. You’re sure to head back to the office with new ideas and valuable takeaways! Looking to gather strategic insights or technical know-how from others in the industry? Or maybe you’d like to better understand how to use IDEA’s applications straight from IDEA experts? At Forum, you’ll have the opportunity to attend a variety of user groups, trainings, roundtables, and tailored educational sessions to find what you need. Check out the agenda for more details. This year, the eBiz Forum will center around a new and improved technology showcase, the Innovation Hub. The Innovation Hub is a unique and intimate space that will feature live presentations, demos from technology vendors, one-on-one meetings with IDEA, and more. We know some of the most valuable time at an industry conference is that spent meeting with your industry peers face-to-face. This is why we’ve left ample time in our agenda for formal networking sessions during the day, plus a night event full of food, entertainment, and a chance to unwind with other attendees! Make your way to sunny Orlando for Forum, and stay for the long weekend! The conference will be held at the Hilton Orlando, only 15 minutes from Orlando International Airport. 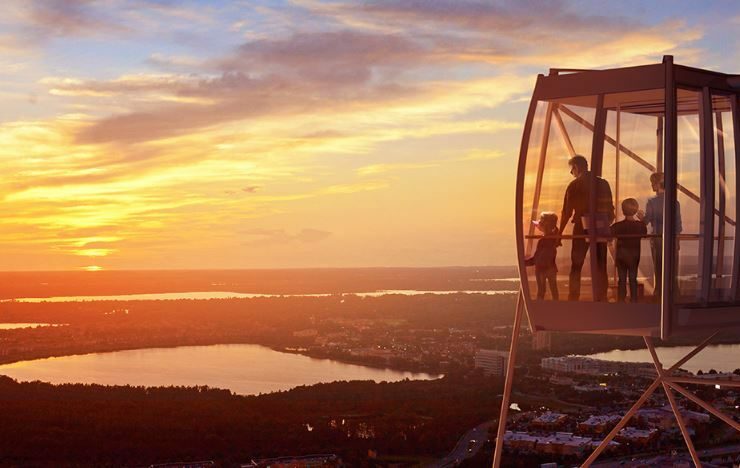 We’ll be within easy reach of world-famous attractions, including Universal Orlando® and Walt Disney World® Resort, as well as a wide variety of shopping and dining options, and the brand new Orlando Eye Ferris wheel! Don’t miss your chance to attend the 2016 IDEA eBiz Forum! Visit the official eBiz Forum website for more details about the event and registration information. Register before March 11th to save $150 with our Early Bird rate, and bring your colleagues with our “buy three, get one free” offer. We look forward to seeing you in May!